Last night my friend Erin and I left Tony's restaurant around 9:30 after our first official book club meeting. This isn't your regular book club; after trying in vain to form a fully-fledged book club with a name, a Google groups page, and more than two members, we gave up trying to meet because the club couldn't agree on a date, a time, or a book. Not to be deterred, Erin and I formed our own. We decided that for our first book reading in our new club, we would read the highly acclaimed Eckhart Tolle book A New Earth: Awakening to Your Life’s Purpose. We were both curious, but I personally was chagrined about the prospect of reading a quasi-self-help book. I was embarrassed about jumping the Oprah’s Books Bandwagon with the millions of other hapless readers looking for the answers to “life’s persistent questions.” I called Erin from Barnes and Noble to say that I couldn’t find it on my own and was embarrassed to ask for it. I was afraid to carry the book around for reading, fearful that I might be judged as just another cow in the herd of soulless Americans. The book sat unread for months. Occasionally, we checked in on each other’s lack of progress, but last week we finally committed to a schedule. We met, we discussed, we have homework and reading for next week. We decided that even if we did occasionally fall asleep while being awakened to our lives’ purpose, it was a worthy exercise. As he passes me, he points and calls out, "hey, that's a great book!" 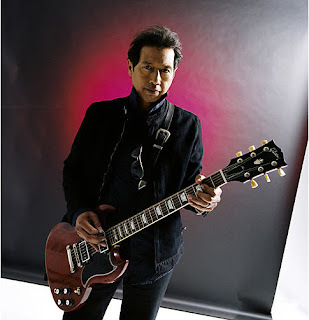 For those of you who don't know, it was Alejandro Escovedo. With his endorsement, all I could do was laugh at myself. It seems like our summer at the ranch just flew by us and much too soon, it was over. When I left Montana in mid-August, I was ready to come back to my urbane Boise. I longed for easy access to fresh, local, and organic produce and dairy products. I longed for more than one option for my local restaurant. I longed to have clean laundry on a whim, without having to scrub it by hand or haul it into someone else’s home. I longed to have an oven for baking. But, it wasn't long before I found myself, um, longing for the ranch. Longing for what? The simplicity of life out there, the ease of having a clear idea of what to do with my time, and of what work to accomplish. Somehow, having a myriad of options is overwhelming to me: Yoga? Shopping? Cleaning? Farmer's market? Festival? Fishing? Gardening? Socialize? Bike ride? I have learned to appreciate the satisfaction of having clearly defined goals for the day. Wake up, get your breakfast, get to work. I like the idea of knowing precisely why something is being done and being able to see the results; you irrigate to make the grass grow so the cows have food to eat, the roof is replaced so that it doesn’t leak, the trash is collected because it doesn’t belong in the field. Me: "How long do you think it would take to get to the ranch if we had a private plane?" Jon: "Well, it depends on the plane. How big it is, how often you have to refuel." Me: "Like a small plane, just big enough for us." Jon: "In a small, two-seater plane it would probably take 6 – 8 hours." Me: "Hmmph. So it wouldn’t really save us much time then. And we couldn’t bring the dogs." This past week has been a tough one for me, more on that later. It followed an eight-day vacation and visit with my brother, sister-in-law, niece and nephew which was fun, followed by fun, rounded out by fun. This was their first visit to Boise and Jon and I reveled in the opportunity to share our city. Although having two extra adults and two toddlers in the house with our current count of three dogs led to a certain degree of chaos, it was welcome, especially now that they have gone. I won't try to pull the wool over your eyes by saying that there weren't mornings I awoke to a crying, okay occasionally screaming, child. There were battles over watching television and chocolate milk versus juice. There were disciplinary events highlighted by warnings such as, "Do not sit on your sister!" My nephew, who is three and a half, discovered the joys of peeing outside while on a recent camping trip back home. He has not, however, learned the subtleties of when it is appropriate to pee outside. On several occasions, we lost track of him in the backyard, only to find him in various corners with his pants around his ankles. It was fun to see the world through kid-eyes again. We turned over rocks everywhere to look for earwigs and roly poly bugs, visited three different playgrounds, and he learned how to fish with his new Spider-Man fishing rod. Every moment of silence was broken by, "Can I go outside and go fishing?" and "Where is my fishing rod?" After several days of practice while we camped on the Middle Fork of the Payette, he was casting like a champ. Thing is, he kept catching the same red plastic fish! We caught lots of trout on our camping trip. My brother and Jon renewed their vows with fishing and we could barely peel them away from that river. I myself caught three fish and my brother commented that fishing is like gambling: "just one more cast." The fish were cooked and enjoyed especially by the kids who gobbled them down without hesitation. After they left, the house was q-u-i-e-t and Jon and I had several "what do we do now" moments. But we settled back in and geared up for the school and work week. On Tuesday, September 2nd, the search warrants in Nancy's case were unsealed. I've kept a pretty tight check in the last few weeks on how much I delve into the media and my emotions; some might say too tight, but I felt like I needed a break. But on Tuesday, I poured over all of the available documentation; old and new scenarios danced in my head. On Thursday, I received a completely unexpected call from the detective on the case. The rest of the week was a grief-ridden spiral. Things are a little better now, but I heard someone say on a radio show last night that grief is not a process. The word process implies a beginning and an end and belies the life-altering proportions of death. I have yet to know how my life will be irrevocably changed by this event, and that unknowing scares me.